Imagine a place where you can see bald eagles, egrets and blue herons flying above the sea pines and old growth firs… A quiet place where deer pass in front of you as if you weren’t there… A place that welcomes you with a friendly smile and a wish for your best game ever… That place is Peninsula Golf Course in Long Beach Washington. We are dog friendly! 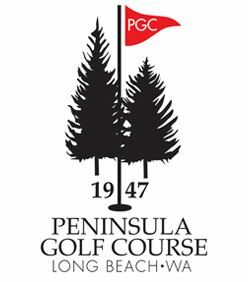 We offer 9 holes of challenging golf set on 55 beautiful, pristine acres just one mile north of downtown Long Beach. Head Professional Jim Eaton is on-site for single or group lessons. We also offer tournament packages and will assist you in planning a great event! Enjoy a Rueben, Cheeseburger, Prawns and so much more at The Cove Restaurant, located in our club house. Our full service restaurant also provides a unique selection of international wines and locally brewed beers.